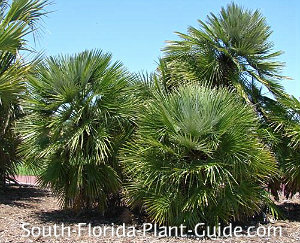 The diminutive European fan palm is silver-green, slow-growing and one of the most easy-care, cold hardy palms for South Florida. The "Mediterranean Fan Palm," as it's often called, is a multi-trunk palm yet it stays very compact and won't outgrow a small area. It makes a stylish accent for any home, especially those with a Spanish or Mediterranean flair. 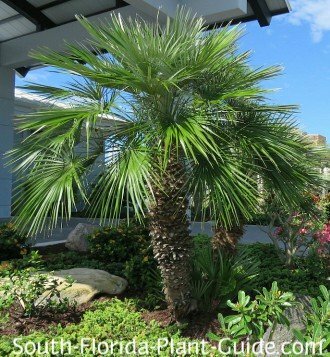 The color of this palm is usually green with a silvery cast, though no two European fans are exactly alike in color or shape. Because of the sharp teeth or "spines" lining each stem, the European fan is best placed a safe distance from heavy foot traffic. 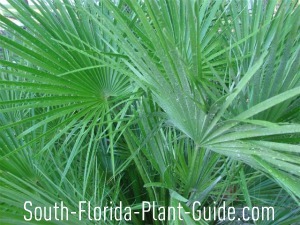 European fan palms are very slow-growing to a maximum height of about 8 to 10 feet. 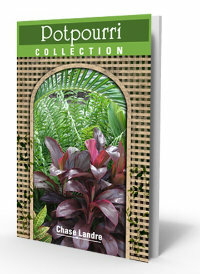 They can thrive in full sun to full shade, with fronds growing a bit larger in shadier areas. Cold hardy to Zone 8, this palm needs no protection whatsoever from whatever Mother Nature doles out in winter. Another plus - high drought tolerance once the palm is established. It's also a moderately salt-tolerant plant so it can handle coastal locations subject to salt spray. Extremely low-maintenance is this palm's trademark, with no soil amendments needed when planting and very little pruning necessary to remove dead fronds. Avoid placing this palm in a moist area...it likes to dry out between waterings, and heavy rainfall should drain quickly from the European fan's location in the landscape. 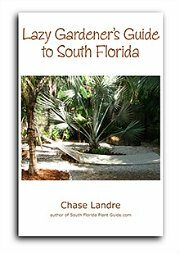 Fertilize once a season in spring, summer and fall with palm fertilizer. 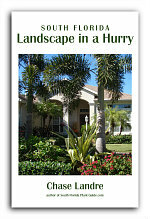 Plant 3 to 4 feet away from the house, and about the same distance from one another if you're planting more than one. These are wonderful container palms because they grow so slowly and like to go dry between waterings. 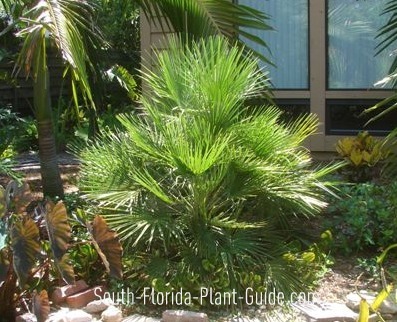 Unless you're really young or very patient, you may want to purchase your palm in a larger-size pot for an important role in your landscape, since its growth rate is very slow. 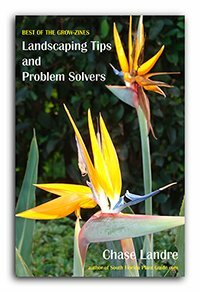 COMPANION PLANT SUGGESTIONS: Pair with other slow-growing, drought-tolerant plants such as crown of thorns, coontie palm, ice plant, and dwarf bougainvillea.